I’m new to to reaper. 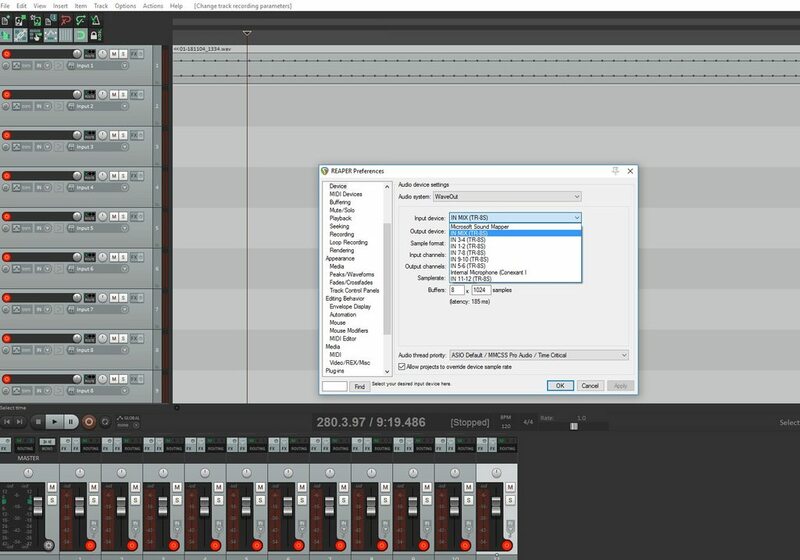 It seems to be a great piece of software, but I’m a bit confused on how to set each individual instrument to a decitcate reaper recording channel (for each) over USB. I’m only using a single device output, which is coming from a Roland TR-8S. Right now, the reaper Preferences are set to mix output and stereo. Should I bump that up to 11 input channels? Does it matter if each channel is set to stereo or mono? I noticed that when I increase the channels, I can still only record to two channels, and from what I can tell each channel is recording the same audio, which is the mix of all instruments. and the Groove 3 video series: https://www.groove3.com/reaper-training-video-tutorials. I cannot tell from the Roland manuals how many audio streams are supported on the USB interface. 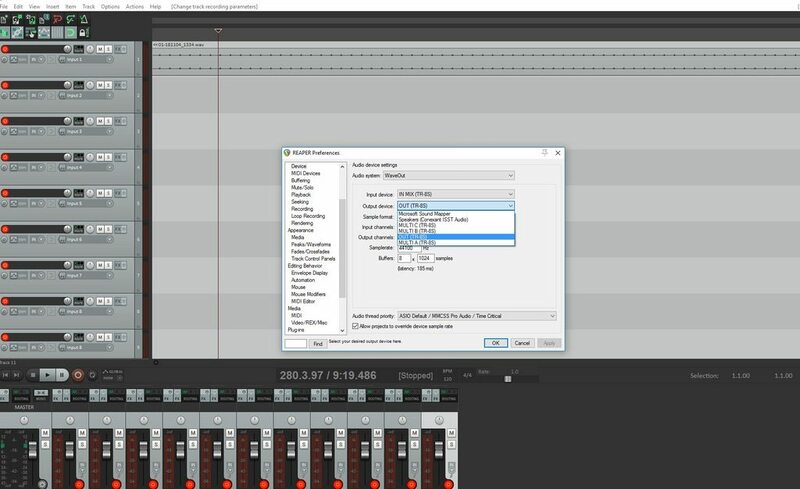 Can you post a screenshot of the drop-down lists in Reaper's preferences/ Audio/ device? I suspect that it will show 2 channels in which cases the audio will be combined and cannot be separated. You could record one instrument onto one track, then Stop, select another track for recording, record a second instrument there (while listening to the first) and so on. You should also set the Reaper tracks to the appropriate Input device (not the track Output). On the other hand if you do see 11 input channels on the Reaper Input menu you could create 11 Reaper tracks, select a different channel for each and record all 11 in parallel. But, I'm guessing in the absence of facts. 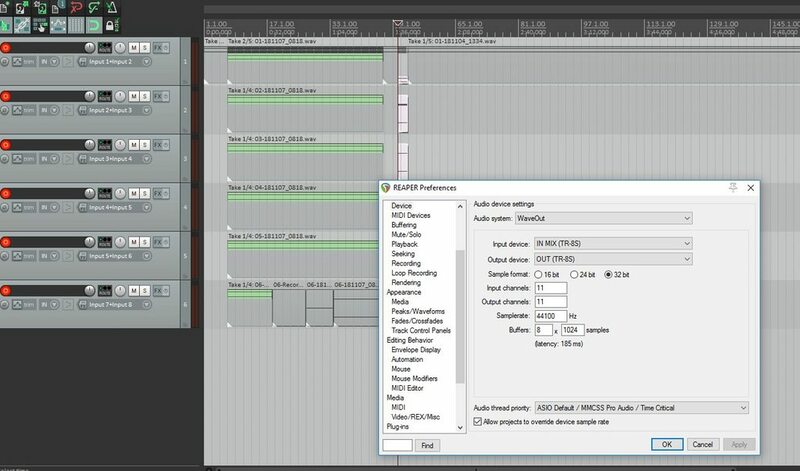 If your tracks are all recording the same thing you probably either haven't routed the inputs to the tracks correctly or you haven't set up the TR USB mode correctly. So the TR-8S has two internal output modes: Assgn or individual. Individual will allow me to output up to 14 instruments. I’ve enabled this and still have the same result, which tells me I’m doing something wrong on the reaper side of things. I’ve attached a few photos of the settings, so you can see. Last edited by Blubaru; 11-07-2018 at 03:04 PM. I don't see any photos? Sorry about that. You should be able to see now. you seem to be using the WaveOut driver. You probably need to change this to the specific driver for your device - i'm assuming there is an Asio driver for the TR8? Once selected, it allows me to select individual instruments or a range. just curious if your drivers are allowing that^ -plz+ty! @Blubaru - thanks for helping!